You have no items added to your quote. Add some on the products page. SHOXS TRAXS Mounting System is designed to enable professional operators to quickly re-configure wheelhouse and deck layouts on all types of craft. 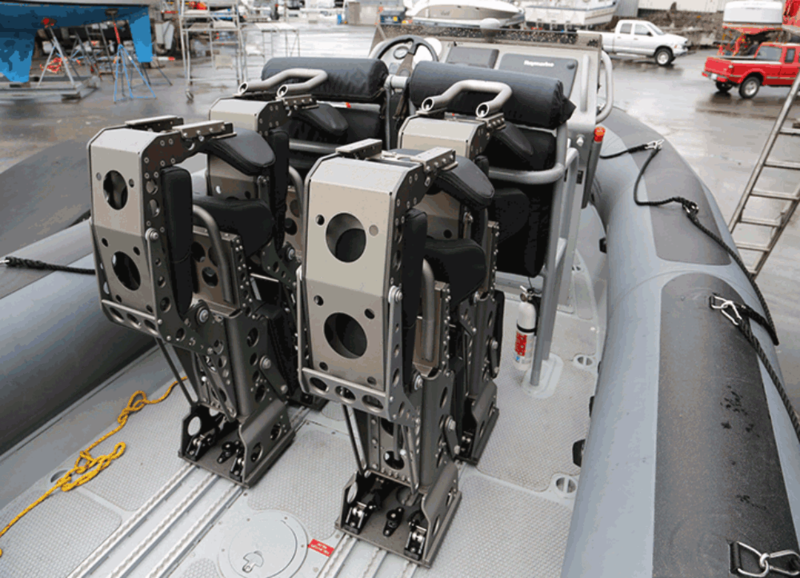 The SHOXS TRAXS deck mounting system creates and easy way to relocate seats on the boat or remove them completely. 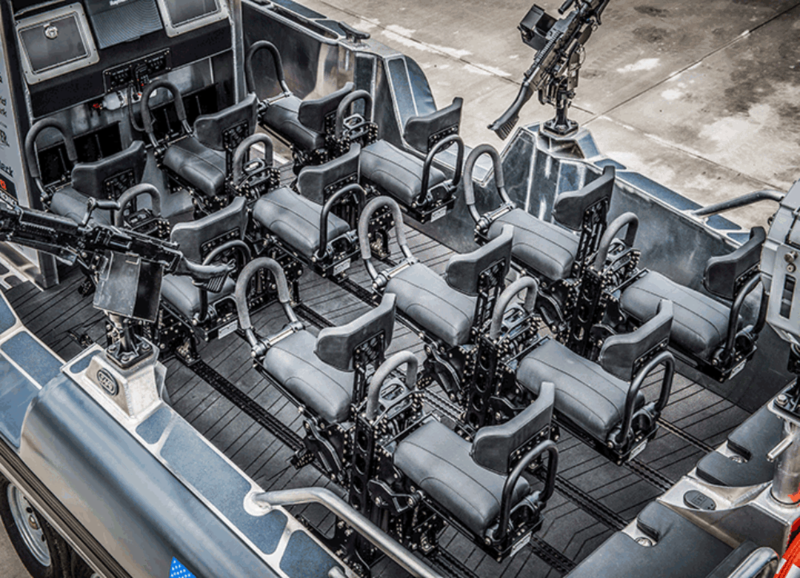 Payload space can be created in front of, behind or between personnel as required. 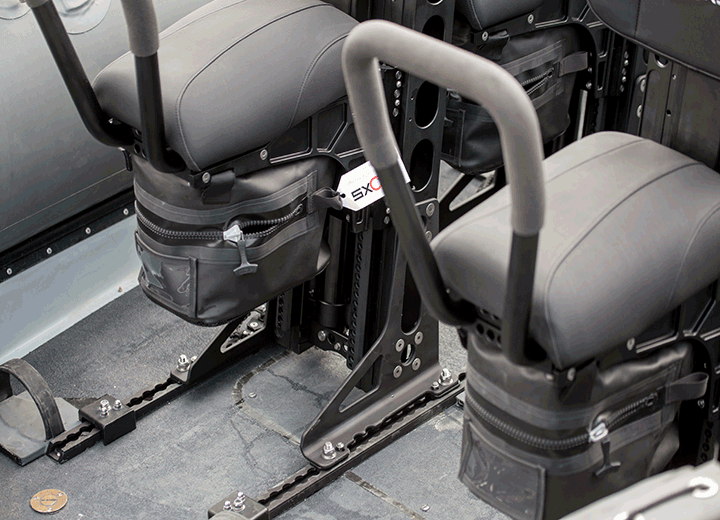 The SHOXS TRAXS system can also be utilized to secure the payload using SHOXS marinized tie down fittings. SHOXS TRAXS aluminium deck extrusion is made from 6061-T6 alloy, can be flush mounted or surface mounted and secured via a bolt down method or weld down to aluminum decks. The extrusion hole pattern matches standard aircraft "logistics (L) track) pattern. 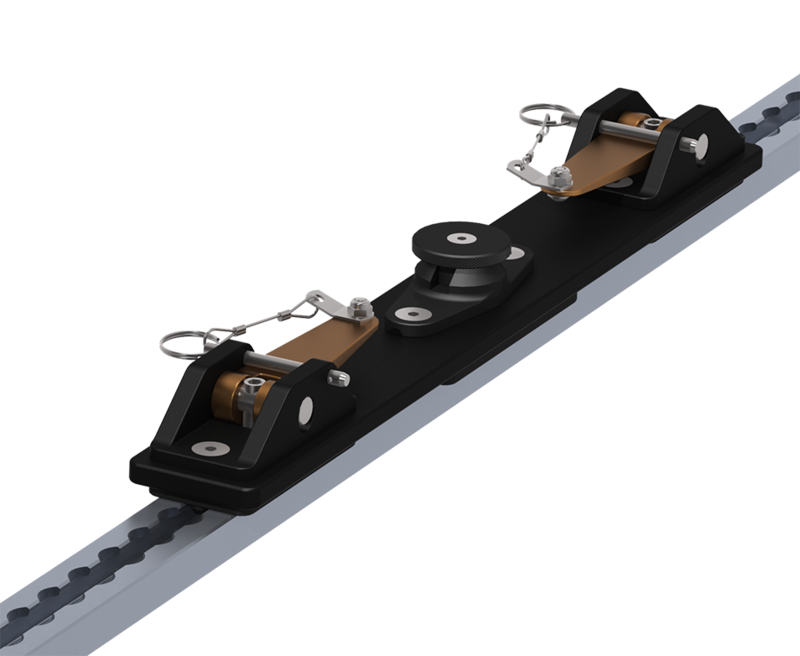 The SHOXS extrusion is deeper to prevent debris build up in the track and wall thickness is slightly larger for strength. The TRAXS Hardware fittings are made 100% by SHOXS from marine grade aluminum alloys and 316 Stainless Steel components. 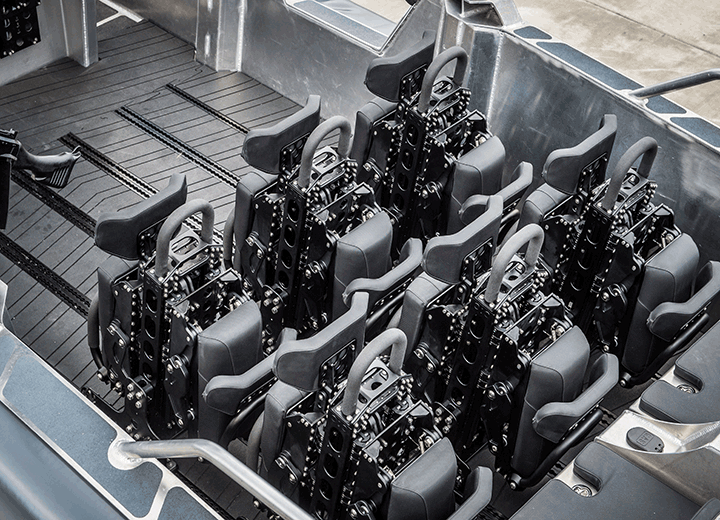 A layer of marine composite material is fitted between the seat base and the TRAXS Fittings to ensure a smooth, effortless movement of the fittings in the deck track. No tools are required to make adjustments to slider positions. 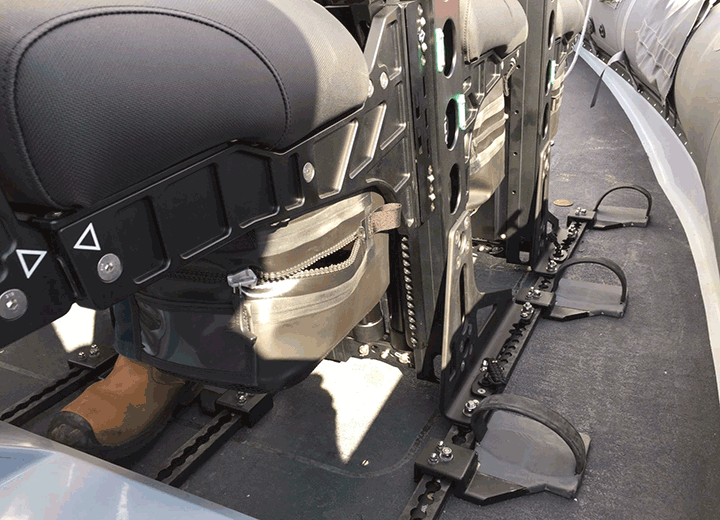 The marine grade hardware sliders are ‘quick release’ and ‘quick lock’. 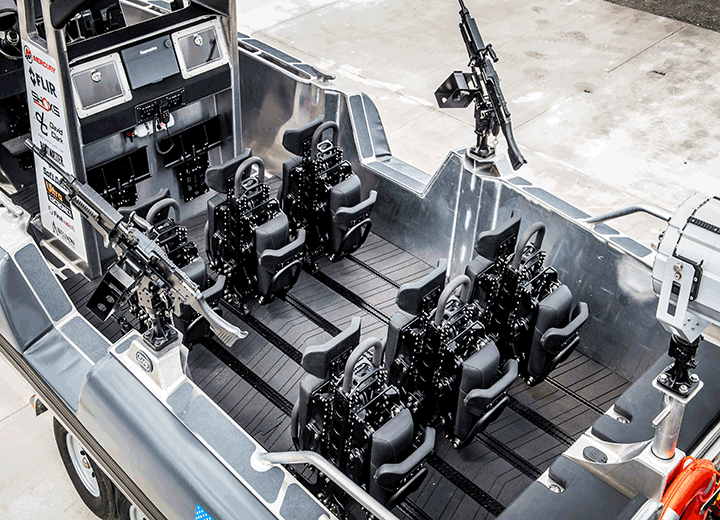 The self aligning design accommodates varying deck designs. The marine grade materials are designed to withstand extreme open boat environments. 1 (888) 637.4697 toll free. © 2018. SHOXS. All Rights Reserved. Subscription For exclusive SHOXS content, offers and discounts.